Recently I have been testing out the website and app Duolingo. There are claims from TechCrunch that the software is actually better and more engaging than RosettaStone and those other guys in this business. There is much to be said about the newer soft ware, and I really like the fact that as you progress through the levels you are translating words online for others to read. The idea that as I learn I am helping others read these translations is amazing. When all is said and done, does it really help? I have used RosettaStone many years ago, but I have seen it in action recently, and it still remains the same. However, there is now some more speaking and you don’t just click on pictures to match words. There have been many improvements since the early years. The program has been proven time and time again; however, when you think about it how many other language software programs can you think of quickly. If you are like me you can think of absolutely nothing else like this software. Sure there are online courses for languages, but has RosettaStone been so good because it works or due to the lack of competitors in the market? Move out-of-the-way Rosetta, you are getting some seriously strong competition! Duolingo has actually worked quite well over the past 3 weeks I have been using it. The gamification of levels and lives make Duolingo somewhat addicting. It is incredibly hard to put down once I start on a level I really want to move on to unlock the next level. 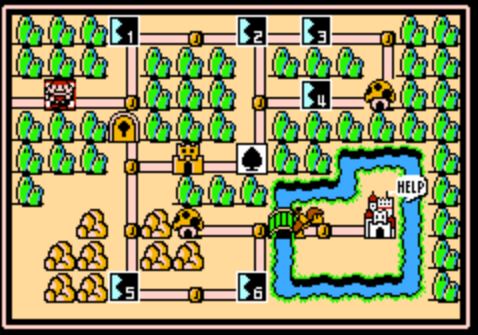 The interface is simple and reminds me of Mario Bros. 3 moving from level to level. However the graphics are better even on my cell phone. Duolingo has me hooked and I am learning Spanish and Italian, but it is because I want to learn. Both softwares have the one major fatal flaw, the user. No matter how many times we look at statistics of people using the software, we need to take into account the learners wanting to learn. I know that if I was still in school I would prefer to take a course that had levels, and a gaming side to it if it was structured properly. What about those students and people “using the software” but not actually wanting to learn. This is where I think Duolingo has the leg up in the competition because the software actually keeps the user in the software. Have you used language software? If so what was your experience like?